The Pandas drummed their way on a bumblebee hunt. We played fast on the drum as to run to find some bees. Then we drew circles with our mallets on the drum head while we buzzed with our voices, listening to the bee. And then we hit the drum as to catch the bee. We played quietly as tiptoed away. We repeated the process many times for some bee fun! The students were wide-eyed and hopping out of their seat as they played fast; their feet were moving with their drum beats! They were all giggles and smiles as they buzzed and caught the bee. Thrilled with the drums, they loved playing and pretending to go on a bee chase. 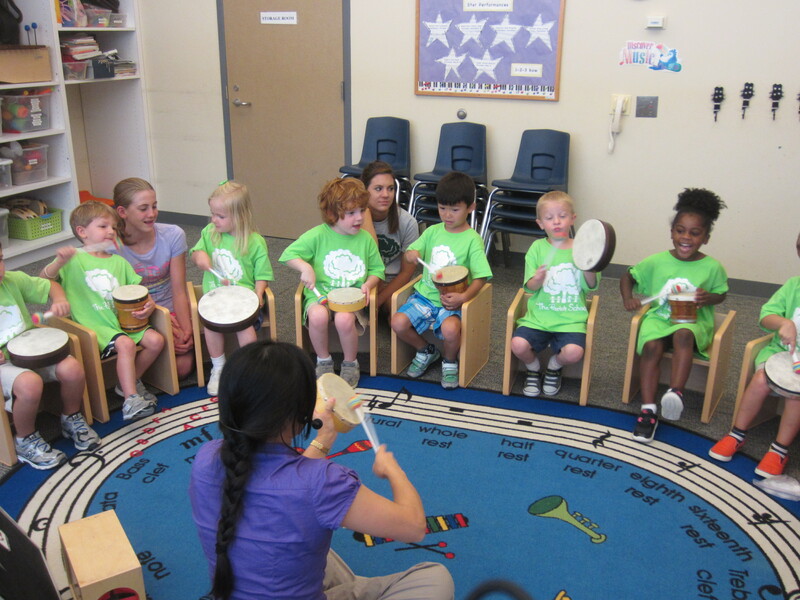 They were great in following directions, listening and watching the music and nonverbal cues, and pretending with the drums. After the drum, we sang “Baby Bumblebee,” which tied in nicely to our bee chase. 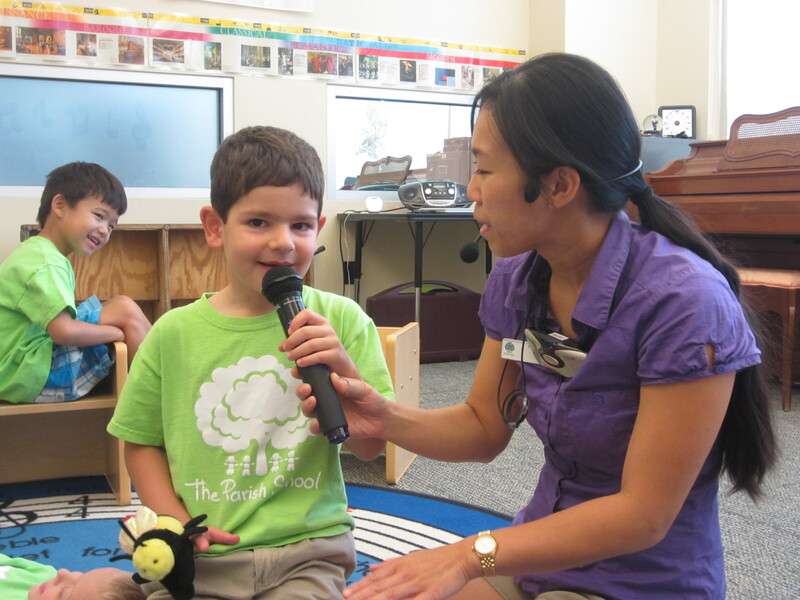 I gave students a chance to sing in the microphone while they were holding the bee puppet; many of them enjoyed being in the spotlight while several were too shy to use it. I was impressed with hearing how many of the students independently sang the whole song; they are great singers! 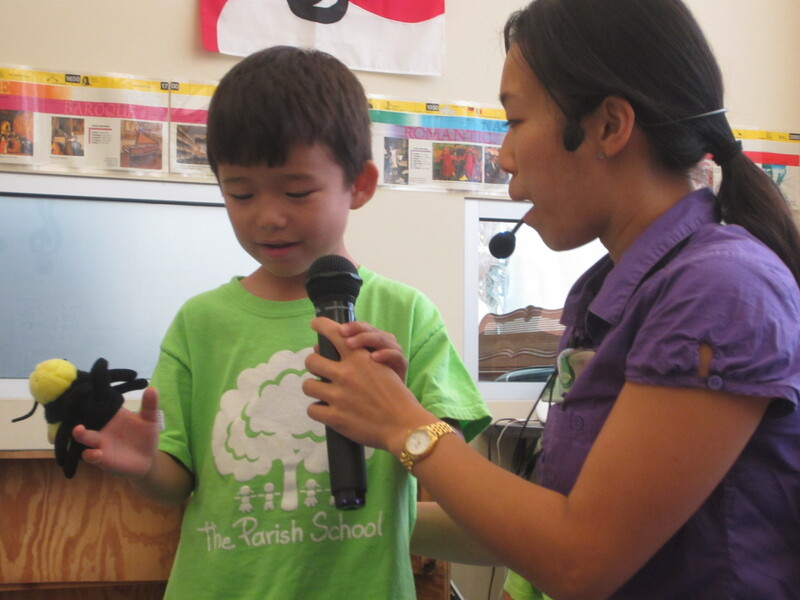 Sometimes, I feel that I sing alone when leading the activity and I learned today that if I give a microphone to a student, they will show off what they know and lead our activity. The Pandas loved interacting with the bee puppet and were so happy to say, “Ouch, he bit me!” when it was their turn. They had patience in taking turns with the puppet and being bitten. It was a busy day with bees chasing, biting, and sharing today! Music Therapy. Martial Arts. Rowing/Coxswain. Creative Movement. This entry was posted in Camp Acorn 2013, Drums, Pandas 2013, Singing and tagged bumblebee, drums, kids muisc, kids' music. Bookmark the permalink.